Morphine—glorious, glorious morphine—is among the world's most potent painkillers, able to make you forget about that broken leg or split open skull. But what if something that generally causes death could be transformed into something that aided the body in recovery? 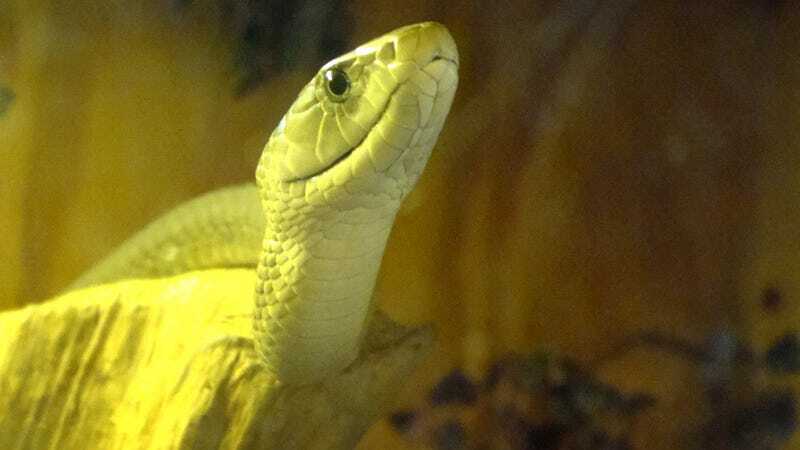 Scientists believe they've discovered the element in Black Mamba venom that does just that. Most three-finger toxins kill the nerve cells they stick to, but that doesn't seem to be the case with mambalgins. In fact, animal testing revealed that the mambalgins "do not produce motor dysfunction, apathy, flaccid paralysis, convulsions or death upon central injections."